Designed for professional racing teams competing in the United Sportscar CTSCC Grand Sport (GS) class, the Forgeline GS1R combines the latest in advanced wheel technology, including one piece forged monoblock construction, motorsport engineered design, and I-beamed spokes. This wheel is engineered to withstand the rigours of top-level endurance racing with a 2100 lb street tire load rating and exceptional deflection stiffness. Though made from the same forgings and similar design as our GA1R street wheel, the GS1R has even more material machined from the centre area for additional weight reduction and improved access to the lugs. In combination with a new chamfered outer lip (with fewer sharp edges for easier handling), this enables faster wheel changes and, depending on size and offset, can save an additional pound of mass from each wheel! 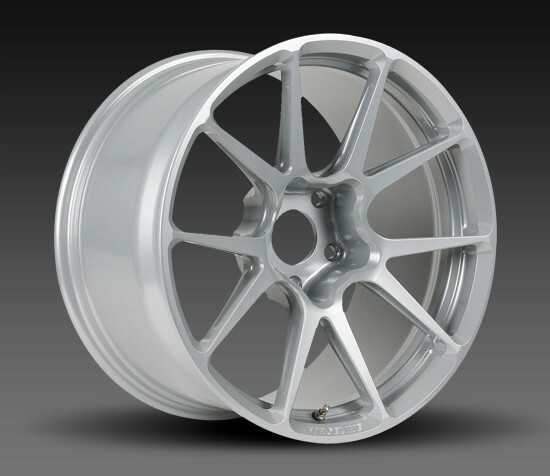 The GS1R is machined from a single forging of 6061-T6 aluminium. It is currently available in 17 and 18-inch diameters with a range of widths and offsets. (Please Note: Some vehicle-specific fitments are listed below. Custom offsets are also available.) 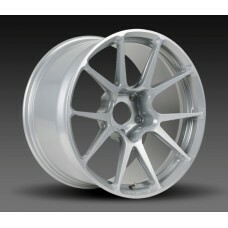 And just like any Forgeline wheel, the GS1R is available with fully customizable finish options. Note: This wheel will NOT accept a centre cap. Intended for race use only. Open Lug centre will NOT accept a centre cap. Recommended for track use only.